Calling all Outer Banks destination wedding bride and grooms! Have you made plans to attend the Outer Banks Wedding Association’s annual Wedding Expo? What a great opportunity to meet with all the great OBX vendors our community has to offer! Sandtrap Tavern will be at Booth #49 along with our sister restaurant Sooey’s BBQ, at Booth #50. 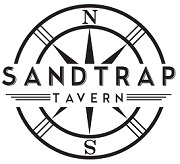 Stop by and chat with our team and learn more about not only our award-winning menus and catering options, but the gorgeous OBX event venue at Sandtrap Tavern. The venue boasts Atlantic views with inside seating for more than 100 people, tent capabilities on the south lawn with the Seascape Golf links fairways as your backdrop. Sandtrap Tavern is the ideal spot for a seaside Outer Banks Wedding and 2018 Outer Banks wedding dates are filling up quickly. If you would like a private tour or meeting, please contact Teresa, our Director of catering at teresa@sandtraptavernobx.com for an appointment.